A-HOTEL.com - Luxury and cheap accommodation in Lyudinovo, Russia. Prices and hotel, apartment booking in Lyudinovo and surrounding. This indicative offer was derived from the most recently booked accommodation in Lyudinovo and sort by the price, from cheapest Lyudinovo accommodation to the most expensive hotels. To select accommodation by your preferences we recommend to choose from 4 accommodation offers in Lyudinovo in total. By entering the dates of your overnight stay in Lyudinovo and using the filter tools you can sort the best possible accommodation for you. The entered dates of your stay are crucial for the most accurate offer as it derives all the online information on pricing and availability of Lyudinovo accommodation. Then you can book the selected Lyudinovo lodging (hotels, apartments etc.) immediately. Quietly located in a pine forest, this colourful hotel in Poselok Ivanovka offers country-style accommodation with a flat-screen TV, and different saunas. The city of Bryansk is 1 km away. Featuring a bar and free WiFi, Гостевой дом Альбион is set in Bryansk. Boasting a 24-hour front desk, this property also provides guests with a restaurant. Hotel Khvastovichi features rooms in Khvastovichi. Free WiFi is available. Featuring free WiFi, Nadezhda Inn offers accommodation in Bryansk. Free private parking is available on site. Located in Bryansk, Grand Hotel Bezhitsa features a shared lounge, bar and free WiFi. This 4-star hotel offers a 24-hour front desk and a concierge service. Set in Bryansk, Апартаменты на переулке Брянском offers accommodation with a balcony and free WiFi. Guests staying at this apartment have access to a fully equipped kitchen. Boasting accommodation with a balcony, Квартира is located in Bryansk. This property offers access to free WiFi. Situated in Bryansk, Hotel Bristol provides free WiFi. Providing a restaurant, the property also has a terrace. 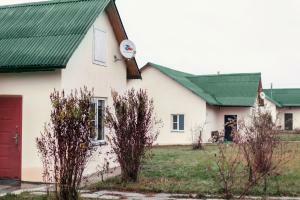 Located in Bryansk, Апартаменты с видом на реку features accommodation with free WiFi and flat-screen TV. All units include a fully equipped kitchen, allowing guests to prepare their own meals. Idalgo is located in Bryansk. All rooms feature a kitchenette and a private bathroom. Situated in Novaya Salyn, Park-Hotel Salyn features free bikes and a garden. The property has a shared lounge, as well as a bar.